1. Toss everything in a pan, and bake this Biscuits & Gravy Breakfast Bake. 2. Have your crockpot cook while you sleep with this Crockpot Breakfast Casserole. 3. These Meat Lovers Breakfast Slab will win any carnivore’s heart. 4. 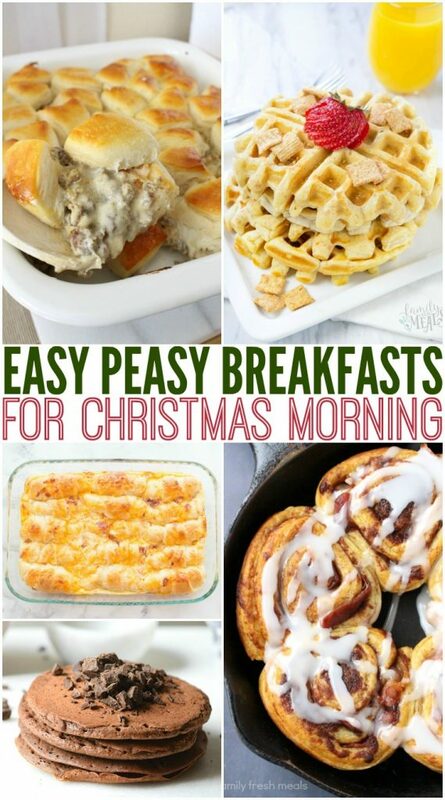 Slide on over to these Breakfast Sliders! 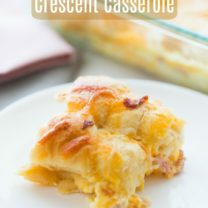 5.This Cheesy Egg Crescent Roll Casserole is going to blow your mind. Period. 6. 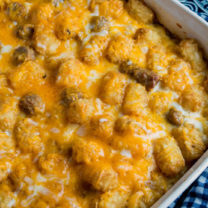 This Cheesy Tater Tot Breakfast Bake is an easy, make-ahead dish that tastes better the next morning. 7. 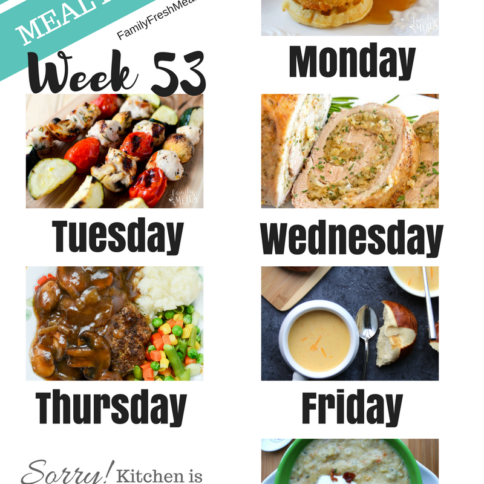 Need a quick and easy recipe? 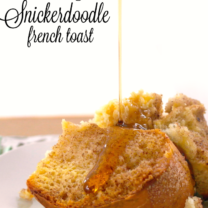 This Easy Breakfast Bites are so easy, your kids could make them! 8.Everyone will be begging you for the recipe for these Cinnamon Toast Crunch Waffles. 9. You’ll never look at tater tops the same with this Waffle Iron Hashbrown Tater Tot Recipe. 10. You can make Oven Baked Egg Bites ahead of time and reheat them in the morning. 11. You don’t even have to turn on the stove to make these Chocolate Chip Breakfast Balls. 12. 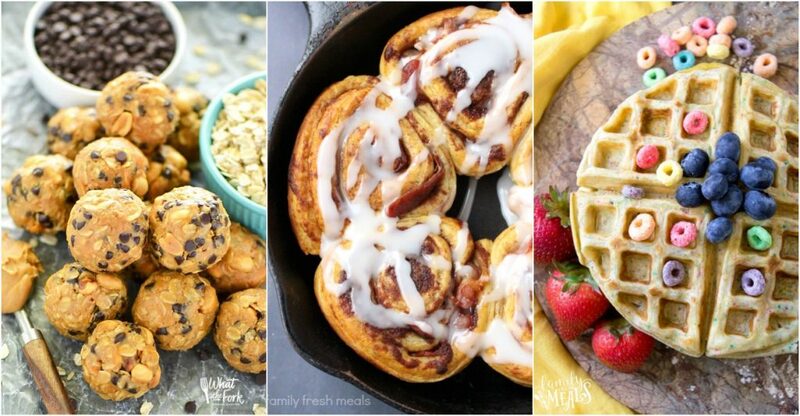 You’ll want to put Bacon Wrapped Cinnamon Rolls on your weekly menu. 13. Gingerbread Eggnog Waffles are guaranteed to get anyone out of bed. 15. When two of your kids favorites collide, you get Fruit Loop Waffles. 16. Bakery Style Blueberry Muffins not only have that classic “bakery dome,” they taste incredible. 17. Gingerbread Waffles feature crispy exteriors and fluffy insides. 18. 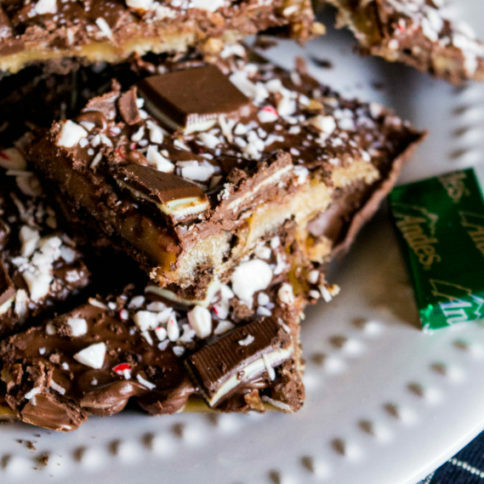 If you love peppermint bark, you have to make these Peppermint Bark Scones. 19. These Christmas Gingerbread Pancakes are light and fluffy, with a hint of cinnamon and ginger. 20. These cozy Gluten-Free Chocolate Chip Gingerbread Muffins, are bursting with warm gingerbread flavor.